Hiring is perhaps the most scrutinised aspect of workplace inequality after wages. Poor hiring practices can uphold cultural biases, and packages offered to new recruits can make life difficult for working parents - which frequently means working mothers. But is there a definitive answer to what constitutes truly unbiased, diverse hiring - what the gold standard is for hiring fairly? This is the third piece of our Women in Finance series, where we take a closer look at the issue of gender equality in financial services - particularly barriers to women’s career progression, based on a report by the CIPD which stated that ‘existing barriers to women achieving senior positions include: perceptions about women’s potential; stereotypes; an absence of role models; careers information and guidance; career breaks; caring responsibilities; full time working being the existing norm; a lack of talent spotting; and a lack of mentoring’. We spoke to a number of employment experts on the subject - including the ‘CV Queen’, leading career and recruitment coach Victoria McClean, who runs CityCV. She said that while there is no exact formula for companies to follow, there are certainly a number of steps all firms - regardless of size - could take. Debra Tuck, founder and managing director of propertyhr, adds that how job roles are designed and advertised are equally important. “Diversity and equality needs to be integrated across your entire employer brand. That’s everything from your job ads and social media pages, to the way you identify and support internal role models and the make-up of your hiring panels. These ‘gold standard’ practices might be de rigueur for larger businesses, with strict hiring guidelines, mission statements, and a longer, more strict hiring process. But what of smaller adviser firms, for whom hiring is usually a job post on a careers website and sifting through CVs, and whose senior level team is very often one or two people? Tuck says that smaller businesses may need to utilise tools to help them achieve unbiased hiring methods where they lack, for example, sufficient numbers for diverse hiring panels. For example, their recruitment platform, propertyhr, which uses ‘intelligent matching’ technology and anonymous candidate profiles to present businesses with a range of candidates they may not have otherwise considered - something which helps to avoid biased decisions at the beginning of the hiring process. 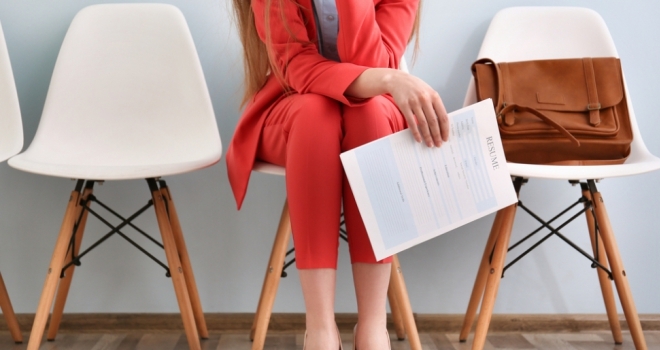 This can help small businesses navigate the beginning of the hiring process - but how can you offer an attractive proposition to those potential candidates? Small businesses may shudder at the idea of offering a potentially expensive benefits package, but a study by recruitment platform Glassdoor shows that 48% of candidates said the benefits package was the most important aspect when applying for a new role - and there are gender-specific ‘must haves’, with 78% of women saying a company’s maternity package was key. It may, then, be not be a case of whether you can afford to offer perks such as flexible working, but whether you can afford not to - and not only at the risk of alienating female candidates. According to a 2017 study by EY and Timewise, 87% of full-time employees in the UK either work flexibly or would prefer to do so, suggesting that it has already become the norm. When it comes to maternity pay, 74% of businesses in the UK already provide more than the statutory maternity pay requirement - although, with firms not required to publish their benefits, it can be hard for a smaller business to know how to judge what is competitive. This may seem daunting for a small business, but the cost of introducing enhanced benefits packages for employees can pay for itself in staff retention and increased motivation - and, even small changes - such as an additional few percent on top of maternity pay, or flexi hours only after an appropriate probation period - can bring positive results. It’s clear that firms of all sizes can take steps to approach hiring in a way which is fair - by seeking diversity, by improving benefits packages to appeal to under-hired demographics, and by keeping track of their progress. And thanks to incredible work by initiatives such as The 30% Club, diversity is being taken more seriously in financial services. “Diversity recruiting isn’t a one-day workshop. It’s an on-going commitment. You have to walk the talk until it becomes part of your company’s DNA."